See the 1.8rc3 Changelog for what’s been fixed since 1.8rc2. For a list of all issues fixed since 1.7.2, see previous 1.8 changelogs. A full Upgrade Guide for easing the transition between 1.7 and 1.8 is in the works. This will be ready in time for the final release. In the meantime, one of the more significant (and breaking) changes in 1.8 already documented there is a refactor of the widget factory. This means anyone that has built their own plugin that uses the widget factory will need to make a number of changes for compatibility with 1.8. For a view of these changes, see the widget factory section of the Upgrade Guide. Also, see this sample implementation of a simple widget with both the 1.7 and 1.8 widget factories, and the differences, by Scott González. We hope to release jQuery UI 1.8 final after a couple days, assuming there aren’t any blocking issues present in this release candidate. A big thanks to all that have worked on all the bug fixes and other improvements that have gone into this release. We’ll have a proper listing of all contributors in the final release announcement. If you find any issues in this release, please do not put them in comments on this post, but instead head over to the Developing jQuery UI Forum. Thank you. The link to jqueryui.com is malformed. Otherwise congrats and thanks! @richard – thanks for the note. Link fixed. Just to let you know that the theme roller does not seem to work with bother my Firefox and Safari browsers. I like the look of the new autocomplete functionaility added to the ui so desperate for the theme roller to be fixed! 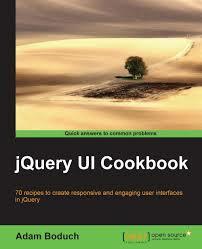 thanks for your great work, jQuery & jQueryUI rock!!! hope to have 1.8 ASAP. Why the dialog iframe bug does’nt get commited? and also WYSIWYG like tinyMCE which uses iframes. Default: Anchor button is not aligned. toolbar: The latter buttongs (non icons) is not aligned with the play deck icons. @Neil Young – as the post mentions (in bold), please post issues to the forum. Thanks. @camilo – thanks for your support and encouragement! @Sagi – that bug is marked as minor. As 1.8 is in release candidate phase, only critical and blocker issue can be addressed at this time. Aside from that, the workaround isn’t sufficient because it’s not enough for the dialog to have the body as a parent to ensure it appears on top. It has to be the last element in the body as any elements after it could appear on top. @Perty – as the post mentions (in bold), please post issues to the forum. Thanks. Will the next release be rc4 or 1.8 final? Plans for the 1.8 final? Any idea how much longer the final version is going to take? I looked yesterday and it appeared that there were no more blockers. Then this morning there were 6 blockers? What’s going on? @Brian Lang – Testing takes place between each release, continuously. While we fix issues others are found. There is also a constant queue of tickets to be triaged, with priority and severity of each to be determined. So the number of blockers fluctuates a bit and when we get it to stay at 0 for a day or two is when the release is ready. @Mike Leach – the wait is almost over. Thanks for your patience. I’m expecting for the new version!! I updated to 18rc3 and I’m happy. Looks and works great. I’ll make a new donation right know. Thanks, Jquery UI, the best for the new generation of web sites. Can’t wait for final! Will the Menu widget be included in the new version?? @Alan – 1.8 final will have the same new plugins that 1.8b1 had: position, button, autocomplete. I’d love to see the tokenize plugin or at least a tooltip added as official widgets. I guess jQueryUI v1.9 is a long way off, pegged to co-incide with jQuery 1.5? @batfastad – That’s correct, no more new plugins until 1.9. Though I hope we can get that out sooner than we got 1.8 out. It’ll depend on how much help we get on these new plugins, which are now being worked on in branches on GitHub, which means it’s easier for others to contribute. Thanks for the info. So would we be talking 2011 for v1.9 or could it be released this year? 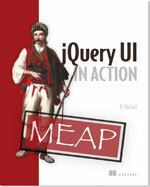 Or does it depend on the major versions of jQuery? If we were to take as long on 1.9 as we did on 1.8 it would be 2011 but we’re moving to a tighter release cycle, so I’d like to see it this year. No, it won’t need to wait for a new major version of jQuery. Though it will drop support for 1.3, requiring the latest 1.4.X.